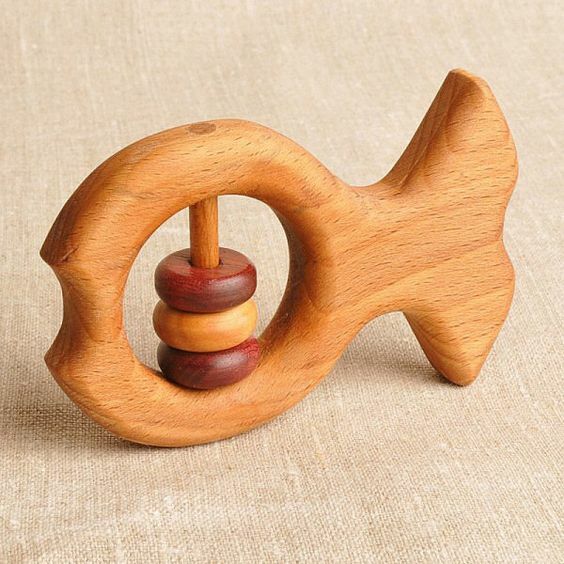 There is something about a good baby rattle that babies just love. The good news is that rattles can actually teach babies new motor skills as well as give them that great teething release babies enjoy so much. On top of being a really good entertainer, baby rattles are also really cute. But there are a few things you should consider before buying it. We have talked about the dangers of plastic before when it comes to the risk of exposure to BPA (read about the dangers of BPA here). So we recommend that instead of going through the trouble of making sure your toy is BPA free, you should just join the DIY movement. Don’t know where to start? Not a problem, here are 5 ideas to get you inspired. How adorable is this little guy. You can play with the colors to match your nursery. The natural wood ring and 100% organic cotton fabric make it completely safe and worry free. Is DIY not really your thing and you wouldn’t even know how to start? 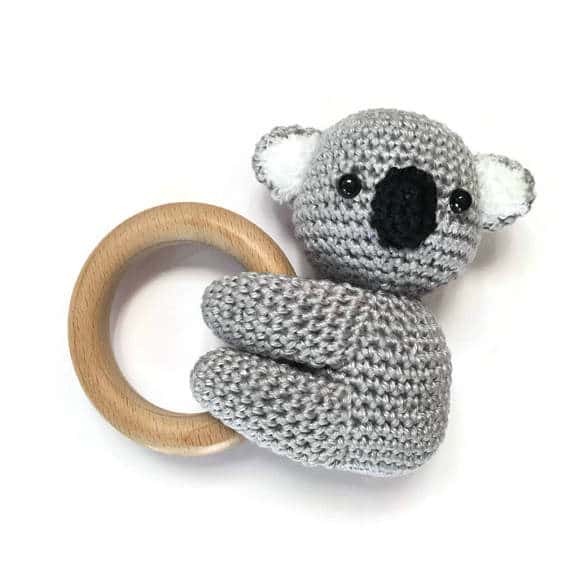 Fear no more, you can actually buy several croché patterns for baby rattles (and for baby toys in general) online for under 4 bucks each. Have a look at this Etsy shop. On top of buying croché patterns you can also get the natural wood rings and many other props for your DIY toy projects. 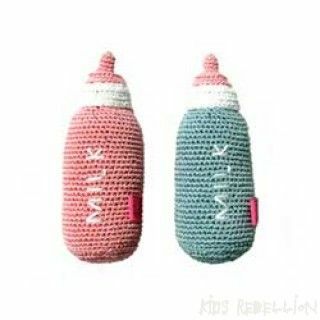 These croché bottles are perhaps the most natural teether. 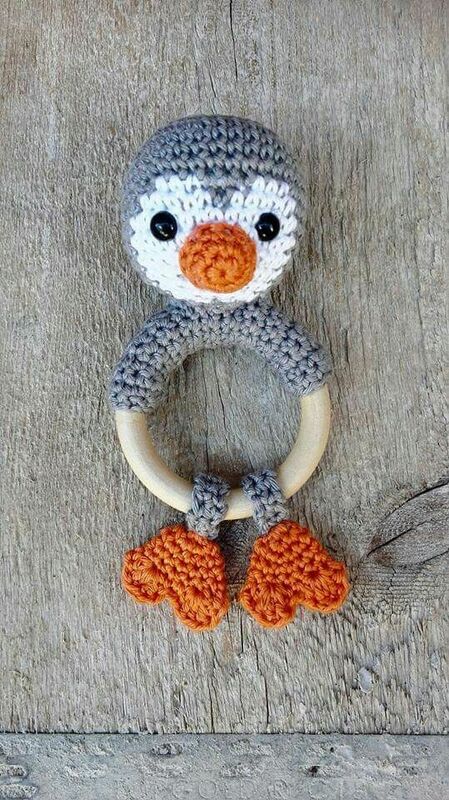 Would also be a great baby shower gift. I think we just changed our plans for halloween. 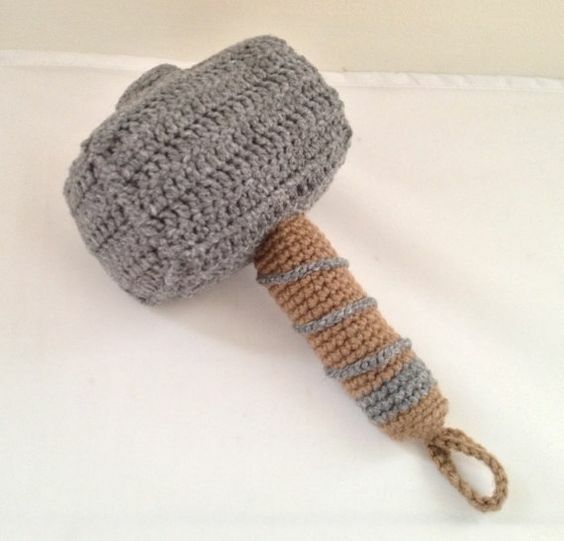 After seeing this super cute rattle we’re definitely dressing our baby as “Baby Thor”! Check it out on Etsy. This one is a little bit more advanced as it envolves some serious woodworking skills. But it is organic, safe, and also very stylish. If you got inspired by any of these ideas and want to give them a try, make sure you send us a photo on our email (contact[at]mrstorkey.com). We would love to feature it on our Twitter. Burned Out Moms: When Stress is Too Much Stress.